The flexible part-time program allows working professionals to continue their education while working full time. Most students choose the part-time option of the MSIT program because it allows them the flexibility to maintain their full-time employment. This option is ideal for students wanting to earn a degree from one of the nation’s most prestigious universities, without interrupting their careers. Many students discover that they are able to put what they learn in the classroom to immediate use in their current positions while earning a master's degree. Part-time students attend class with full-time students creating a cohort diverse in age, experience, education, and industry—each student bringing a unique perspective to the learning environment. Students earn a Master of Science in Information Technology via completion of 12 courses. The part-time option is offered over two years during three, 10-week quarters from September to June. 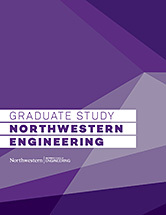 Part-time students attend two Saturday classes on Northwestern's Evanston campus from 9:30 a.m. to 5:00 p.m. The Saturday schedule includes a break for lunch from 12:30 to 2 p.m. Students are provided breakfast, lunch, and snacks on class days. Part-time and full-time students together form the MSIT cohort of approximately 25-30 students. While the program flexibility allows some courses to be taken outside the cohort, students engage in a majority of the courses together, and begin and end the program concurrently. The cohort structure allows students to capitalize on the learning gained from varying academic and professional experiences among their peers. The program is designed for working professionals who are looking to advance their careers in information technology. All applicants have at least two years of industry experience and must possess a bachelor’s degree from a regionally accredited institution. For the part-time MSIT degree, any major will be considered, but if you have a degree in a non-technical field, you are required to have four years of post-college, IT-related job experience. MSIT courses are taught by tenured faculty from the McCormick School of Engineering and Applied Sciences, Northwestern Law School, Medill’s Integrated Marketing Communications program, and by leading IT professionals from top corporations.